Should I use them with my clients? Something that´s been on my radar lately is the study of isometric muscle contraction and its relationship to pain relief. If that sentence made you say, ¨Huh?¨ – let´s back up and review. Generally speaking. 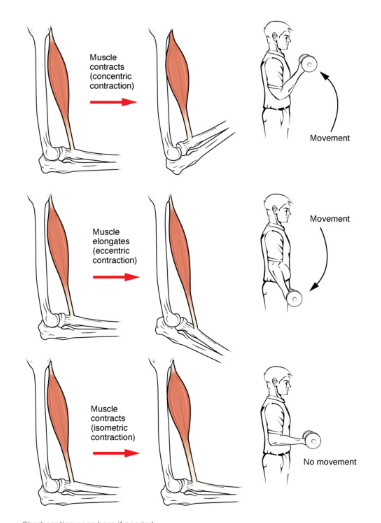 We can categorize muscle contractions into 3 categories. In the rehab world, eccentric gets a lot of attention because it´s been proven to help a lot with tendon repair. And at the same time, we know that an eccentric contraction actually loads the muscle more than a concentric contraction – by about 40% more- so it´s a quicker way to make a muscle stronger. But in the past few years, more research is been done on how to use isometric contractions, especially for people who are in pain, as a way to induce pain-free muscle contraction, and start to re-wire the brain´s pain map about movement. What research is starting to show is that for some people, in some instances, an isometric contraction is the way to help them start to create movement without pain. The big thing to take away is this: when people have pain when they move, they develop a fear of the movement causing pain in the future (it´s even got a name: kinesiophobia). From modern pain science, we know that in order to get someone healthy and moving again, we have to find ways for them to move that don’t have pain attached. What research is starting to show is that for some people, in some instances, an isometric contraction is the way to help them start create movement without pain. Watch the video for demonstration of how you could do this for your client, and how you could then progress it or regress it as needed. Ultimately, this will be an ‘it depends’- some people will tolerate it, and some won´t – but it´s a great tool to add to your toolbox, especially if you are working with someone who is in pain and is now afraid to move.